Roofing costs in San Antonio are principally based on supply-and-demand. Most notably, storms shape this balance. Labor costs skyrocket in affected areas. Additionally, local or not, storms increase material costs. Other cost considerations include shipping prices and oil prices, since asphalt shingles are both extremely heavy and a petroleum product. As for the roof itself, size is key when calculating cost. Roofers charge per roofing square. Other pricing factors include pitch, height, accessibility, number of layers, type of application, and skylights, chimneys, and vents. Material selection, as well, impacts cost. Asphalt shingles, though the most common and affordable roofing option, are not the only option. Roofing is also done with wood, metal, tile, and slate. Where you live is significant with regard to permit fees and code requirements. Damage to decking, which can be seen only after shingles have been removed, also adds to the cost of a roof. When going through an insurance carrier, a roof technically costs your deductible. Many roofers will tell you they can ‘save, waive, or absorb’ your deductible. This is against the law. Essentially, this means the company will funnel money back to a homeowner from the payout of the insurance claim. This is insurance fraud. Do you really want someone who openly and willingly breaks the law in-and-around your home? Your Neighborhoodz representatives have extensive experience in insurance claims. We can ease the process of an insurance claim, and help you close out your claim properly and legally. If your building sustains damage; first, document everything. Advise your insurance carrier as soon as possible, and file a claim. There is a possibility you will need emergency tarping to prevent further damage, let your carrier know if you think this precaution is necessary. You will be advised to get three estimates, this is mainly to confirm damages to the building. It is important to note that insurance carriers do not take responsibility for who you hire, that is up to you. An adjuster will come out to survey the damage. Your chosen contractor can walk through the property with the adjuster, which is ideal to ensure nothing is overlooked. Finally, your claim paperwork will arrive, with a payout. Your chosen contractor can look over your insurance paperwork with you. The contractor’s job is to make sure that all damage is accounted for and the pricing is up-to-date. Keep in mind, every home, carrier, and adjuster is different; so, having someone with experience in insurance claims inspect your paperwork is advantageous. Lastly, the insurance carrier will ask for documentation that work has been completed. Your claim will then be closed out and, frequently, a final payout will be made. This information is provided for your convenience; and is not intended as insurance advice. Always consult your insurance carrier for information regarding your policy and coverages. 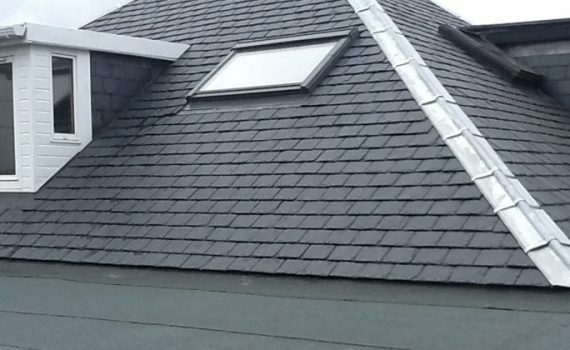 If you are thinking about roof replacement in San Antonio, it is a great opportunity to upgrade your exterior. Fascia repairs, gutter installation, and exterior painting are all best done prior to installing a new roof. In the case of insurance claims, many contractors just wish to replace your roof, as this is the highest ticket item. Nine times out of ten, roof replacements should be done last. New shingles are soft and highly susceptible to scuffing and scarring. Performing other work after a roof installation causes unavoidable wear, or necessitates costly measures to protect the new shingles. Your Neighborhoodz LLC can facilitate all your exterior restoration projects, ensuring that work progresses in suitable sequence, protecting your investment and ensuring a higher quality final product.